Feel free to contact TELS any time you have a question or feedback. We love hearing from our customers, and we’re happy to provide assistance any way we can to help you maintain your buildings and support your residents. We also offer webinars and online training to help you maximize your productivity through TELS. Contact us at 800-667-3880 or requests@TELS.net to get set up for a webinar, or follow the link below to sign in to access online training through the education tab. How do I request TELS Building Services? To request TELS Building Services – day or night – simply call us at 888-433-3224. TELS Building Platform users can call 888-433-3224 or request service through the TELS Mobile app, which can be downloaded from the App Store or Google Play. How does TELS Building Services integrate with TELS and DSSI? When you request a service through TELS Building Services, a work order is automatically created and tracked in TELS, repair records are added and asset history is updated. This dynamic integration allows you to track expenditures and costs of your services through TELS. For customers integrated with Direct Supply DSSI, invoices are automated through the system. How does TELS Building Services choose the service providers in their network? TELS Building Services follows a stringent process to select the best overall service providers in your area. After identifying all service providers in an area, we consider important characteristics such as licensing, insurance coverage, years of experience, driving records, Senior Living expertise and employee background check processes. How do I become a service provider for TELS Building Services? If you’d like to become a service provider for TELS Building Services, please fill out this short questionnaire. Once completed, our team will follow up with you. 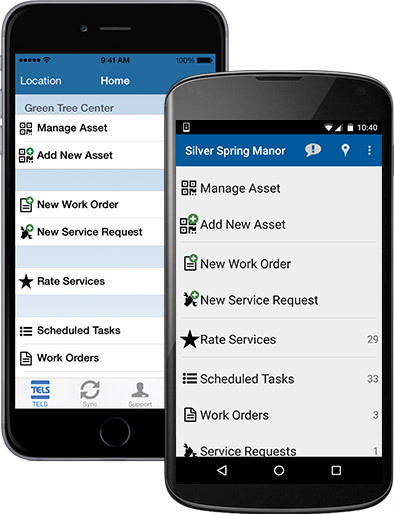 Designed specifically for Senior Living, TELS Building Platform is a building management software platform that helps you track Life Safety tasks, manage assets and schedule maintenance service and repairs. 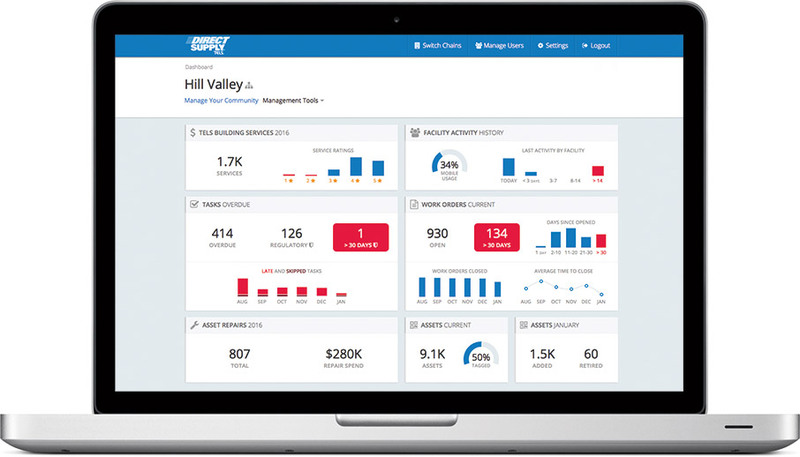 TELS organizes and houses your vital information across multiple buildings, while on-demand reports provide a summary of overdue tasks, monitor productivity and compliance, and allow you to track expenditures and analyze costs. TELS helps you keep your buildings compliant through consistent documentation for survey preparedness, Life Safety, OSHA and Disaster Emergency Preparedness (DEP). You have the ability to log on and check the completed tasks of your staff and buildings from anywhere there’s an internet connection. On the website header, click on the “Forgot Password” link and follow the instructions. After logging into TELS, click on the “Change Password” link located at the bottom of the page.